Hay Bales, Pumpkins and Mums for Fall Season! See these different ideas we found for decorating with pumpkins, hay bales and mums from J&J Nursery this fall season! All of these these are available seasonly at J&J! Pumpkins at J&J Nursery! We have regular, white and pie pumpkins and gourds. We also have hay bales! You can decorate your outdoor (or indoor) fireplace with pumpkins and mums from J&J Nursery! Mums are perfect for outdoor landscaping in the fall season. 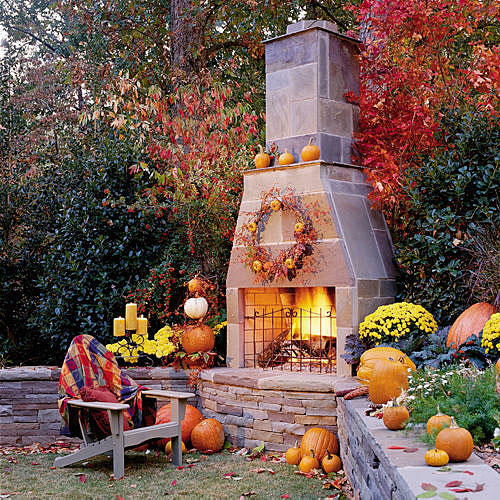 Here, they are beautifully arranged around an outdoor fireplace and create a fresh Autumn look. We also carry oak and mesquite firewood for your fireplace! Many ideas for fall decorating! Mums included! 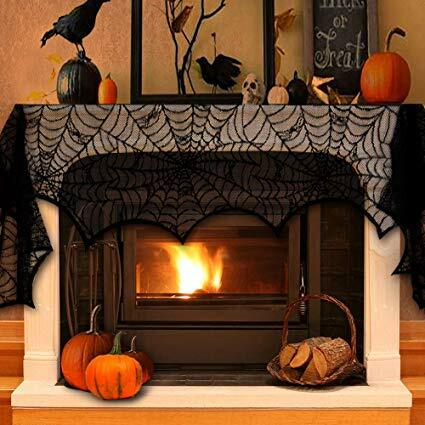 Decorate your fireplace for the fall season. J&J Nursery has a variety of pumpkins including white and pie. Also available are gourds. We carry mums and hay bales at J&J Nursery. Hay bales and pumpkins are available fall season only. This entry was posted in Halloween Yard Decorations, Hay Bales, J&J's Nursery, Mums, Pumpkins, Spring, The Woodlands, Tomball, TX and tagged gourdsspringtx, haybalesspringtx, mumsspringtx, mumsthewoodlandstx, mumstomballtx, pumkinstomballtx, pumpkinsspringtx, pumpkinsthewoodlandstx, pumpkinstomballtx on October 22, 2018 by jjsnursery. Pumpkins for Sale at J&J Nursery! Let the Ghoul times roll! Fresh, new Pumpkins are available at J&J Nursery, Spring, TX! They’re a freakishly good size for carving up and happy hauntings!! Drop by, sit for a spell and take pictures! Boo-tiful pumpkins for sale at J&J Nursery! These pumpkins will make your Halloween Spooktacular! Here’s a video of us putting the pumpkins out on display! 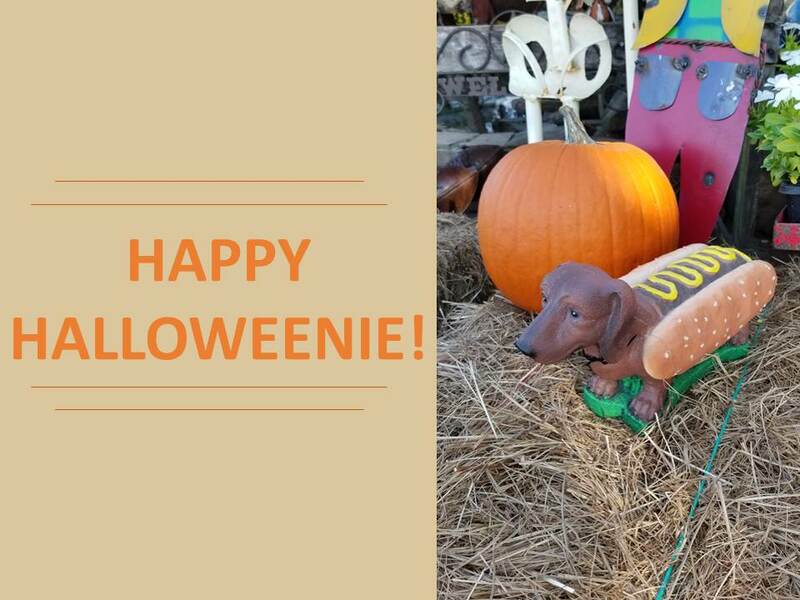 This entry was posted in Halloween Yard Decorations, Pumpkins and tagged pumpkinsforsalespringtx, pumpkinsspringtx, pumpkinstomballtx, pumpkinswoodlandstx on September 29, 2018 by jjsnursery. We have new yard decor that has just arrived. 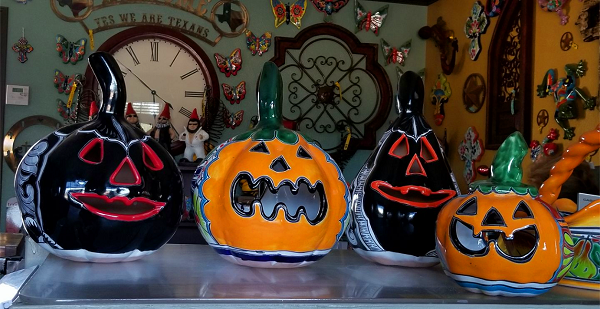 Come see our selection of Fall, Thanksgiving and Halloween decorations! We have spinners to keep you spinning and more! It’s that time of year again. Take a Coffin break from work and drop by with your ghoul-friends and vampires and see our new selection of Halloween yard decorations! We have a fang-tastic selection of decorations that put smiles on all the little monster’s in town! We have flying classes available, too – bring your own broom! This entry was posted in Halloween Yard Decorations, Iron Decor, J&J's Nursery, Spring, The Woodlands, Tomball, TX and tagged falldecorationsspringtx, halloweendecorspringtx, halloweendecorthewoodlandstx, halloweendecortomballtx, irondecorspringtx, irondecorthewooldandstx, irondecortomballtx on September 22, 2018 by jjsnursery. Have a howlin’ good time at J&J Nursery with these ghoulishly, frightful iron and cement Halloween decorations! BE SAFE AND HAVE A HAPPY HALLOWEEN! 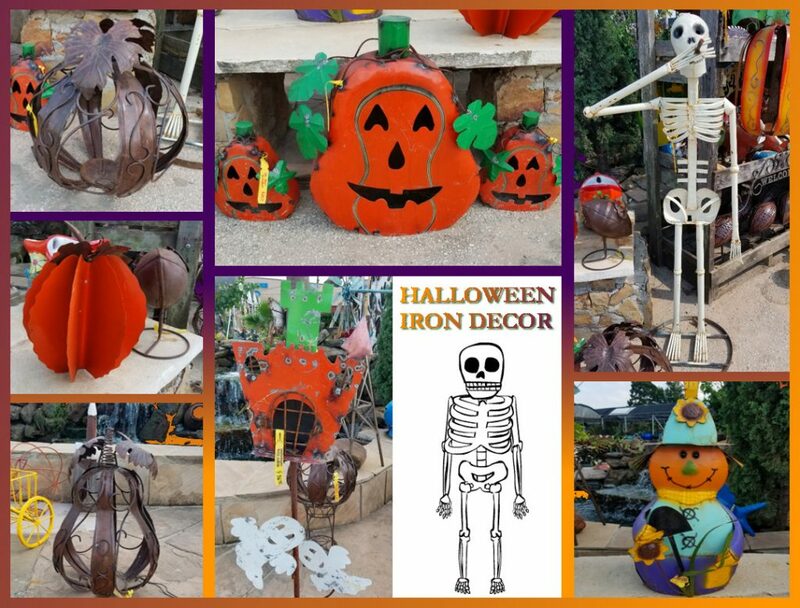 Holloween Iron Decor at J&J Nursery, Spring, TX. This entry was posted in Cement Statuary, Halloween Yard Decorations, Iron Decor, J&J's Nursery, Spring, The Woodlands, Tomball and tagged cement decorations, cement hot dog, halloween, halloween cement decorations, halloween iron decorations, halloween spring tx, halloween the woodlands tx, halloween tomball tx, halloween yard decorations, Houston on October 31, 2017 by jjsnursery. Halloween isn’t just for candy anymore! 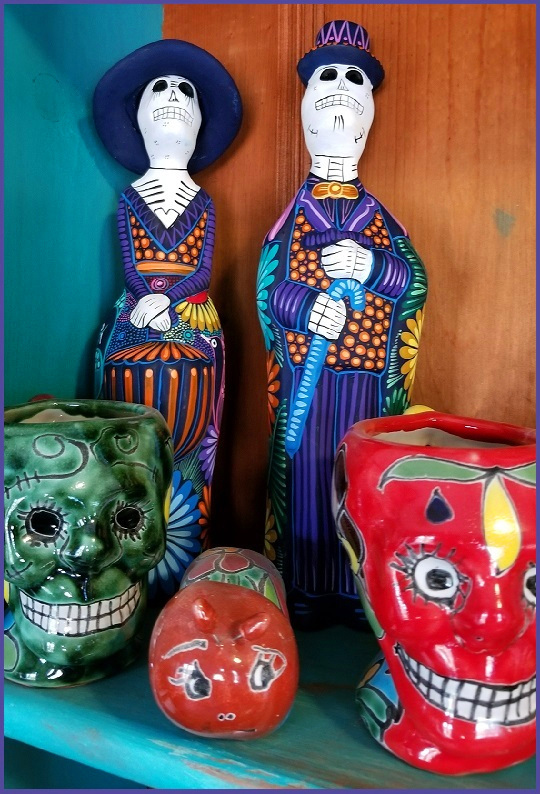 Stop by J&J Nursery with your ghoul-friends on your next coffin break, and scare yourselves with our fang-tastic and boo-tiful talavera pottery treats! 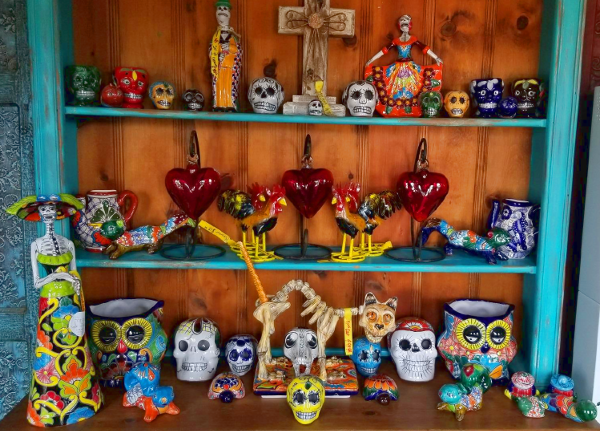 We have home and garden decorations for everyone! Halloween Talavera Jack ‘O Lantern Pumpkins. This entry was posted in Halloween Yard Decorations, J&J's Nursery, Madison Gardens Nursery, Pumpkins, Spring, Talavera, The Woodlands, Tomball, TX and tagged halloween yard decorations, home and garden decorations, homeandgarden, springtx, thewoodlandstx, tomballtx on October 14, 2017 by jjsnursery.